current page Do you know what really gets on my nerves? Lhermitte's’s, or as I like to call it ‘Kermit-the-Frog Syndrome,’ is one of those annoying paroxysmal symptoms in MS - an intense but snappy pain that strikes every now and then, causing havoc with your body. Pronounced ‘ler-meet’ and named after the French Neuro-Man, Jean L’hermitte in 1924, this nettling symptom is a form of nerve pain that is often triggered by lowering your neck. The result is a fuzzy buzzy shock that shoots down your body for a brief moment. Like a pesky wasp it comes and goes as it pleases, lingering just long enough to give you a fright or cause you to let out an involuntary jerk and a muffled mmmmurrrvvvvffff kind of sound. Lhermitte's Sign can hit you at any moment, usually when you're least expecting it. You could be innocently looking down at your watch or, more likely, mobile phone and before you know it a shock surges down through your neck and into your arms, hands, legs and feet. And then it is gone, just as quickly as it came. This symptom was one of the first to surface at the onset of my MS and was one that I shrugged off as an insignificant nuisance. Lhermitte’s and I have now been well acquainted for 9 years and counting. It is supposed to be a ‘brief’ sensation, however, perhaps taking the lead from my own rule-phobic mentality, my MS doesn’t always want to play by the rules, and just recently it has decided to linger somewhat. I find myself being attacked by what can only be described as an electric-shock spasm in my right side. The fuzzy, buzzy, wuzziness has overstayed its welcome and simply refuses to leave. Like a lot of neuropathic pain, Lhermittes isn’t particularly painful, at least it shouldn’t be. It is, however, terribly annoying and at times quite unnerving (excuse the pun.) You see, Lhermittes is a sign of damage, or demyelination, occurring in the spinal cord and it’s hard not to link the physical ‘pain’ with the visual damage that I’ve seen on my MRI results. Every time the Tingle-Taser* blasts through my body an image forms in my mind of little MS monsters laughing sadistically as they shoot lasers at my spine, delighting in the damage they are causing. Lhermitte's sign is a sudden sensation resembling an electric shock that passes down the back of the neck and can reach the fingers and toes. 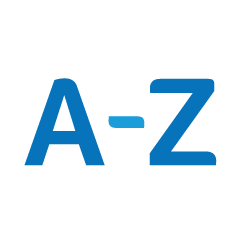 Learn more in this A-Z entry.